Ever wanted to be in your own comic book? well now you can with this great comic book Picture Frame. 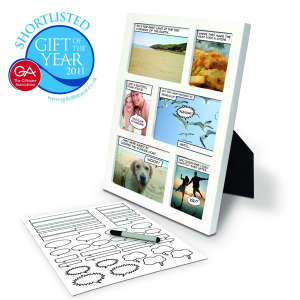 The frame holds 6 photos and includes a sheet containing speech bubbles and caption boxes to add to and personalise photo frame, making your comic fully customisable. 'We all think we're superheroes when we're drunk and now you can really take the starring role with this Comic Strip Photo Frame.